Aquatic therapy is a physical therapy practice that is used to help rehabilitate people with injuries and painful conditions. It is helpful because the natural buoyancy and soothing properties of water help people balance and exercise without too much strain. 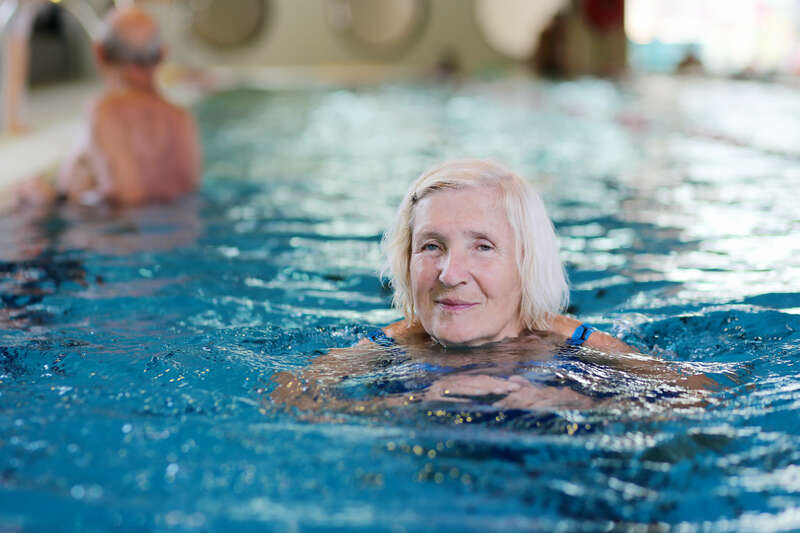 Aquatic therapy is particularly helpful for seniors and people with balance disorders. However, it has benefits that can help all sorts of people. If you’re interested in the physical health benefits you can receive from aquatic therapy, it’s best to set your expectations straight first. 1. Aquatic therapy is easy — Aquatic therapy is more gentle and soothing than land therapy, but this does not mean it’s easy. A certified aquatic therapist will guide you through exercises that are designed to push you toward better strength and flexibility. Sometimes, these exercises can be challenging, but your aquatic therapist knows your limits and won’t push you too hard and cause any harm. 2. Aquatic therapy is not for everybody — As much as we’d like to say that aquatic therapy is for everybody, there are a few people who are not good candidates for it. People with infections, open wounds, fever or lack of bladder or bowel control should not participate in aquatic therapy. Additionally, people with cardiac disease may not be good candidates due to the water pressure. People who cannot swim may want to avoid aquatic therapy as well, though many aquatic therapists have options for these people. 3. All you need for aquatic therapy is a pool — Regularly swimming is a great way to maintain fitness, but this is not the same as an actual guided therapy. Sure, you do need a pool for aquatic therapy, but you also need a licensed healthcare professional to guide the therapy. A trained therapist can identify your needs as an individual and recommend the best movements, exercises and stretches to perform in a pool. He or she will guide you through these movements and push you to the right limits. Plus, he or she can also help keep you safe in case you slip or go underwater. Are you interested in learning more about aquatic therapy benefits and methods? Our team at Excel Sports and Physical Therapy would love to talk to you. Contact us today for more information or to schedule an initial appointment.